I am co-founder and, until January 2010, executive director of People's Grocery, a community-based organization serving residents of West Oakland, CA, an inner-city community of color that has been a majority African-American since the 1940's. Once a thriving industrial and cultural center of the San Francisco Bay Area known as the "Harlem of the West," West Oakland was assaulted by racist policies and development patterns such as redlining and "white flight" that led to the economic decline of the community. Today West Oakland's 32,000 residents are confronted with a host of socio-economic problems, including access to fresh and healthy foods. Historically, there were numerous independent grocery stores and supermarkets throughout West Oakland that offered groceries, fresh produce and prepared foods. These markets began to shut down in the 1950s and/or relocate to suburban communities in order to benefit from higher per capita spending power and abundant land for larger stores and parking lots. As a result, West Oakland does not have a single full-service grocery store today. Because it is so difficult to purchase affordable, fresh produce or quality food products in West Oakland, resident must either travel significant distances to outside supermarkets or purchase food at neighborhood corner-stores that offer mostly processed and poor quality foods at high prices and very limited assortments of fresh produce. Inadequate consumption of fresh fruits and vegetables, which often stems from limited access to fresh foods, is a primary contributor to diet-related health problems such as obesity, diabetes, and heart disease. West Oakland has been hit hard with these chronic diseases. The community's diabetes hospitalization rate exceeds the county's rate by three times. Nearly one-third of West Oakland residents suffer from obesity. With virtually no family in the community untouched by the damage caused by these illnesses, West Oakland is experiencing a public health crisis that is also causing economic harm as ill family members leave the workforce just as they are faced with sky-rocketing healthcare costs. In 2002, I co-founded People's Grocery with Malaika Edwards and Leander Sellers to develop an approach to community health and food security issues in West Oakland that also supported local economic development and small agricultural producers in the region. We set out to develop community-based projects in nutrition education, urban agriculture, job training and small-scale food enterprise. Our first enterprise was the Mobile Market, a traveling food store that sold fresh produce, groceries and bulk foods at affordable prices to West Oakland residents. As the first Mobile Market in the United States, People's Grocery received national attention that transformed the organization into a leader in the field. In 2007 People's Grocery launched another food enterprise call the Grub Box. The Grub Box is a weekly box of fresh produce, grown by People's Grocery and other partners, that is distributed to low-income families in West Oakland. The number of weekly Grub Boxes distributed has grown from 30 per week in 2007 to 120 by the end of 2009. People's Grocery plans to grow the enterprise to 200 weekly Grub Boxes by the end of 2010. After nearly 10 years of dedicated work and accomplishments at People's Grocery I'm often referred to as a "leader" in the growing national food justice movement. The food justice movement in the United States is a broad and diverse social movement made of urban and rural communities, grassroots organizations and social enterprises working to address the inequities in the food system that negatively impact health and well-being, as well as economic sovereignty, of historically disadvantaged communities of color. The food justice movement has become a compelling movement for many people as it wields potential to not only advance the causes of social equality and community health, but also to offer an alternative to the industrialized food system. While I have come to accept the label of being a leading figure in the food justice movement, I have never really seen myself as an ideal person to lead such a movement. This is not because of my intelligence or my abilities. Rather it's because I believe that social justice organizations working in historically disadvantaged communities of color must, ultimately, be led by the people who reflect, and come from those very communities. And that's not really who I am. A Central Responsibility: More Appropriate and Qualified "Leadership"
While I'm multi-racial and have experienced racism toward my Iranian heritage, I still very much benefit from my white skin privilege and my male gender. And while I did partially grow up in a low-income neighborhood in East LA, I have never personally experienced real poverty. So even in founding People's Grocery, I always knew that, for People's Grocery to reach its greatest potential, I'd eventually have to replace myself with a leader who was more appropriately aligned with the experiences of West Oakland residents and more qualified as a leader for that community. With this goal I saw the task of developing leaders from People's Grocery's core constituency as a central responsibility of my own leadership role. I also knew that it can be difficult to successfully develop capable leaders from historically disadvantaged communities of color who can truly manage the complexities and challenges of leading organizations. Many members of these communities have, by and large, been left out of the political, social and economic systems of our society and, therefore, haven't had access to the critical supports and opportunities that enable the more privileged to develop their proficiencies. These supports and opportunities include higher education, job experience, and extracurricular activities. They include learning a variety of "soft skills" such as time management, conflict resolution, critical thinking, professional presentation, and financial literacy. And they include earning enough income to pay for basic needs, having free time to study and learn, and feeling safe where one lives and works. Addressing the many needs and developmental challenges that members of historically disadvantaged communities are faced with can be a daunting task. In my eight years of leading People's Grocery I experienced these challenges first-hand and realized just how much effort and support it actually takes to develop leadership skills in someone who hasn't had the experience and proper training and may also struggling with a host of personal and family problems. For this reason very few organizations strive for, let alone succeed at, developing leaders out of the communities they serve. Those organizations that don't try to develop community leaders often cite the process as simply being too arduous, costly, time-intensive and risky. These organizations say that they can't afford to delay the pursuit of their mission by investing an inordinate amount of resources into leadership development among community members. As a result, these organizations almost always hire people of more privileged backgrounds who are rarely aligned with the experiences and cultural perspectives of their staff and constituencies. 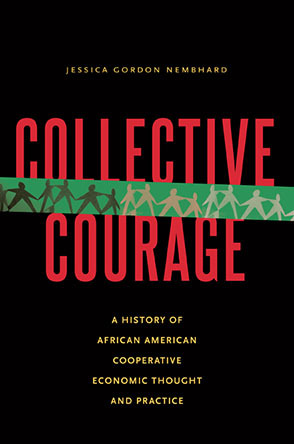 This, in and of itself, often tends to create a new set of challenges for those leaders to contend with, including bringing into question the very mission and purpose of such organizations that work in historically disadvantaged communities of color, but which lack a commitment to local leadership development. As I thought about these issues and grappled with how to "walk-the-talk" of People's Grocery's mission and commitment to West Oakland by taking a different approach to developing leaders, I discovered that developing leaders from the community wasn't going to be achieved just by putting my nose to the grinding stone and bearing out the risks and difficulties of the process. While that hard work did ultimately have to be done, I saw that an even more critical ingredient was shifting my thinking about what leadership looked like and meant to me, what I expected from leadership, within what organizational model, and in what cultural setting. In these reflections I came to several realizations that would later set the path for how I would successfully replace myself with a new executive director who was aligned with my core beliefs. The first realization came to me as I thought about the fact that, while historically disadvantaged communities of color like West Oakland have been recipients of services from nonprofit charities for over half a century, the social and economic conditions of these communities are, by and large, in worse condition in 2010 then they were in 1950. For example, rates of poverty, illiteracy, hunger, homelessness, drug addiction, prostitution, and violence are statistically ten -fold greater in West Oakland then when the people who are adults in West Oakland today were just young children. The rising rates of these indicators made it clear that something about the social service charity model wasn't working. It was also clear that, with the amount of animosity and mistrust that many West Oakland residents displayed towards such charities, the community also saw the failures of the nonprofit charity model. Can Charities Create True Social Change? As I talked with people in the field and read various analyses about why the promise of American charities wasn't solving longstanding social problems, two key reasons emerged. The first was that charities tend to focus on providing direct services to address the immediate effects or symptoms of social problems, rather than addressing the root causes of those problems, which are often structural in nature, require a longer-term view and which can't be ameliorated through direct services. This of course raised the question of whether or not social change is even a true intent of social service charities or whether these organizations are more interested in maintaining dependency on their services in order to perpetuate themselves as institutions than actually liberating communities of color from structural oppression and inequality. The second reason I discovered for why charities weren't helping these communities overcome their social ills was rooted in the very idea of providing services to "those in need." This idea, which is at the core of most charities, inadvertently implies that the recipients of such services are not capable of addressing their own needs and, therefore, depend on the help of others who are willing to bestow their privilege and benevolence upon them. Within such a belief system in which residents are seen to have little to offer, it is understandable why charities don't see their purpose as building upon the capacities that already exist among residents of a community to help those residents solve the community's problems. The disappointing result is that the provision of services without the provision of supports and opportunities to enable individuals to take control of their own lives and meet their own needs results in ever greater dependency on the services of charities as residents' self-efficacy and capacity for self-determination diminishes. As one of my mentors put it, in many ways these communities have been serviced into the very conditions for which the services are needed to address. These two realizations about the nonprofit charity model - that charities tend to not solve structural problems or create true social change, and that many charities discount the capabilities and resources of communities and neglect building on the existing capacities of such communities - led me to become very clear about how I wanted People's Grocery to go about its work in a different way. For one, People's Grocery, as a social justice organization, would work to address the underlying structures and causes of West Oakland's food, health and economic problems. This meant being strategic and disciplined about not expending resources on the short-term addressing of symptoms of social problems so that the organization could focus on and dedicate its limited resources toward the long-term goal of creating lasting structural change. It also meant asserting an analysis that emphasized structural inequity as the foundation of any social problem plaguing historically disadvantaged communities of color. My second conclusion was that People's Grocery would honor and embrace the resources, talents, and capacities that already existed among West Oakland residents to achieve our mission. This became the basis for how I thought about leadership development in historically disadvantaged communities of color. I determined that the key for developing leaders from the community was to first identify and build on what members of the community already had to bring to the table. I later came to call this an "asset-based" approach to leadership development as it recognizes that, while many individuals may not have technical skills and organizational experience, they do bring significant creativity, unique ideas, perspectives, extensive networks, social capital, culture and history, all of which can become vital assets in both building their leadership and advancing an organization's mission. By taking an asset-based approach to leadership development, the people and the organization can establish a reciprocal relationship in which both parties have something to offer to each other. This shifts the dynamic from an organization helping a community to an organization being in partnership with a community to help itself. The asset-based approach also acknowledges the vast untapped potential within each person to reach extraordinary heights in their own development and achievement because, by recognizing each individual as already having many skills for leadership, the training requirements and developmental timeline are reduced or redefined. However, I also realized that, in order for this leadership development framework to take hold inside of People's Grocery, we had to redefine the kinds of skills that were required to lead within the organization. Many of the assets that residents of historically disadvantaged communities of color have to offer are non-traditional relative to a conventional menu of managerial and leaderships qualifications that are sought by organizations. In all likelihood, the skills and assets that residents could offer wouldn't be recognized or appreciated within an organizational setting that emphasizes qualifications that are more status quo to management. Those non-traditional skills would likely be profoundly underutilized, leaving a deep cultural rift (and a missed opportunity) between the assets that professional managers recognize and those that community residents have to offer. Nikki Henderson: "Exactly The Right Kind of Leader"
The reality is that, while the skills and qualifications that a conventionally-minded manager is seeking in a leader may be appropriate for working among a particular population, those same skills and qualifications may not be the most optimal for leading in historically disadvantaged communities of color. Too often nonprofit managers fail to accurately recognize and evaluate the kinds of skills that are needed to engage and lead in communities of color. For example, while the ability to write a technical report or grant proposal is important, an equally important ability when working in a community of color may be having the cultural competency to relate to and build trust among clients. Similarly, being able to gain access to inner social and familial circles in a community of color, and speaking their language, could be as valuable as being able to gain access to the inner circles of philanthropy or nonprofit executives. The expectation of homogeneity of qualifications, in which skills that are biased towards the technical and intellectual, as opposed to the cultural and relational, assumes that everyone is the same. This approach does not take into account the vast cultural diversity of a community or the new skills that are needed to overcome problems that previously applied skill sets have not solved. It was clear to me that, in order to attain a diverse makeup of staff and strategies within People's Grocery, we had to embrace diverse approaches that were built upon at a mix of competencies. By redefining what I saw as the necessary skill sets for leadership and organizational success my perception of who qualified as potential leaders changed dramatically and offered me a much greater pool of possible leaders to draw from. It was from this expanded definition of leadership, and a widened pool of possible leaders, that I was finally able, after eight years of directing People's Grocery, to step down in January 2010 to a new executive director. People's Grocery's new executive director, Nikki Henderson, is exactly the right kind of leader for People's Grocery. Nikki is a 25-year old African-American woman who was raised in the foster care system. She grew up with seven foster brothers in the neighborhood of inner-city South Central Los Angeles. While Nikki's family wasn't poor, they certainly experienced the challenges of racism and marginalization that many African-American families go through. In the end, it was Nikki's story and background as a woman of color who comes from the very communities that People's Grocery works with and who can relate to and reach the members of those communities in ways that many leaders could not that made her a perfect new leader for People's Grocery. I don't say this to discount Nikki as a skilled and experienced leader and manager. She is incredibly proficient in the skills and qualification defined by conventional management theory (including having played important leadership roles at two national organizations). Nonetheless, when Nikki applied for the executive director position she may have not been seen as the best candidate if I and my board of directors had chosen to strictly look for conventional management skills and qualifications. As an up-and-coming young leader there were a lot of things Nikki still didn't know about administration, finance, fundraising, operations, etc. But what Nikki did bring to the table, especially her ability to build relationships and trust in the community, drastically outweighed any technical skills she may have lacked. And in those areas where Nikki did need more professional development, she received support and training from an Executive Support Committee of the People's Grocery Board of Directors that connected Nikki with coaching and mentorship opportunities and helped her assemble a tool chest of leadership development resources. "Real Change Can Only Come From Within the Community Itself"
Now that Nikki Henderson is leading People's Grocery and doing a fantastic job (better than myself in many ways) I look back at the many things I accomplished during my leadership at People's Grocery and see my very leaving the organization as my greatest accomplishment of all. Because the success of pulling off this leadership change is a testament to the leadership approach I chose to take so early in the organization's life. It has proven that my beliefs about leadership development in a social justice framework can actually work. And knowing that there are other organizations seeking a different approach to developing leaders in historically disadvantaged communities of color, my hope is that People's Grocery's installment of a real community leader will provide encouragement and a road map to those organizations. Because no matter how hard an organization works to change the conditions within a community, real change can only come from within the community itself. When organizations become led by the communities they serve their ability to create true and lasting social change will become boundless and unstoppable. Brahm Ahmadi is co-founder and former executive director of People's Grocery. He has a B.A. in Sociology from the University of California and is an MBA candidate at the Presidio School of Management. Brahm is a social entrepreneur in pursuit of a social justice agenda toward community development and the creation of healthy food systems in inner city communities. He utilizes the mediums of entrepreneurship, popular education, economic development, urban agriculture, and youth development to realize social change. Brahm is active in worker-owned cooperative business development and organizing for economic democracy and was a founding board member of the U.S. Federation of Worker Cooperatives. Brahm has spoken at many universities and conferences and has been featured in national media such as Newsweek Online, People magazine, Essence magazine, Saveur magazine, Mother Jones magazine, the Utne Reader. Brahm is now CEO of People's Community Market, a newly formed social venture that will expand on People's Grocery's mission to make fresh foods available to West Oakland residents by creating an innovative, sustainable and replicable social business model that can develop solutions to key barriers in building and operating grocery stores in low-income urban areas. Under Brahm Ahmadi's leadership as CEO, People's Community Market is developing quickly and anticipates opening its first store in the Spring of 2011. He can be reached at brahm@peoplesgrocery.org. Earned a BA Degree from UCLA in African American Studies, focusing on Theater and Folklore. MA degree in African American Studies, from UCLA where she researched political ecology and environmental justice. Gained over 10 years experience mentoring and directing programs in the foster system and with inner-city youth, with Families for Children in Inglewood CA and the Foster Youth Empowerment Workshop in Big Bear, CA. Worked with Green for All founder Van Jones and Executive Director Phaedra Ellis Lamkins in developing national programs for people of color in the environmental sector in 2008 and 2009. Worked under Slow Food USA?s President Josh Viertel in Brooklyn, gaining deep exposure to the politic and dynamics of national food and farming movements. Spent the last year and a half developing For Real Food, a national youth food alliance aiming to push the youth voice to the forefront of the food movement in America. Experience in grassroots organizing, event production, strategy development and policy. Photos courtesy of People's Grocery.